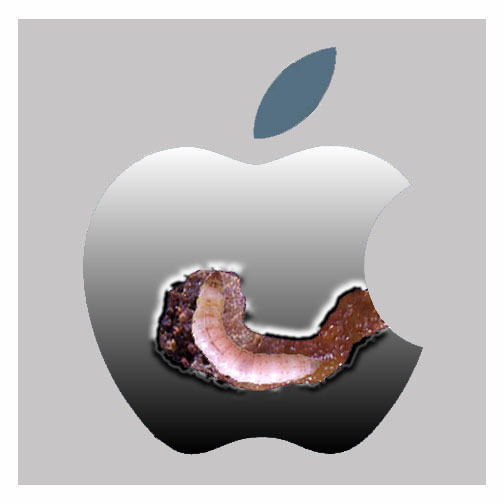 I am a Apple user since 1986, Rotten Apple Inc. copied and infringed on my design idea based on this link, convenietly created the product call Apple New Cinteeq Rivil -iPad Pro,featured in 100 Greatest Animation Shorts, so I wrote them an official letter. It has come to my attention that you have made an unauthorised use of my Design and Idea on the Apple Pencil on CNBC’s Video. I have reserved my rights in the Literary Work and Pictorial Expression, first published and created on 16 Feb 2000, refer to my link, NEW CONCEPT ON COMPUTER DESIGN, ArtComm For Art Sake, PRESSURE SENITIVE WIRELESS ART TOOLS. Your Product Video was also featured in 100 Greatest Animation Shorts on the facebook link, Apples New Cinteeq Rivil -iPad Pro, with 18,392,428 Views https://www.facebook.com/permalink.php?story_fbid=1167578016589799&id=183497204997890&comment_id=1167791296568471&notif_t=share_reply, is essentially identical to my Idea / Work and clearly used my Works in producing the Apple Pencil. I am a Apple user, and have purchased many apple products starting from 1986 Apple Classic, LC II, LCIII, Newton, Quadra, Apple Pro, Apple Lap Book, imac, G4, iphone, IMac, to the current. (US$500,000.00) Five Hundred Thousand US$ as a token for funds as charity to help the poor children in Singapore for free creative learning of arts, learning a hands-on skills and thereby you will be given the rights to my design.ideas. As A Singapore Citizen, we are automatically protected under Singapore copyright laws for any of Artistic and literary works. Singapore has also signed multilateral international copyright treaties with Berne Convention for the Protection of Literary and Artistic Works on 1998/12/21, The Agreement on Trade-Related Aspects of Intellectual Property Rights (TRIPS) on 1995/01/01 World Intellectual Property Organization Copyright Treaty (WIPO Copyright Treaty or WCT) on 2005/04/17, extends Protection of Literary and Artistic Works. I demand that you immediately, cease and desist your unlawful copying of my Design Ideas and stop marketing and retailing of the product s under “Apple Pencil “ and provide us with prompt written assurance within ten (10) days that you will cease and desist from further infringement of my copyrighted works. Take Notice that, if you do not comply with this cease and desist demand within this time period, I am entitled to use your failure to comply as evidence of “willful infringement” and seek monetary damages and equitable relief for your copyright infringement otherwise, I will be forced to consult my lawyer on this issue. I / we look forward to hearing from you by 8th Oct 2015 failing which I / We shall not hesitate also to take necessary action to make Public aware of the above matter.